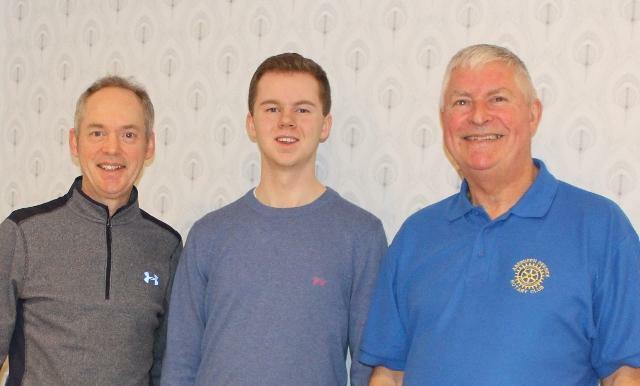 Aberdeen Deeside Rotary Cub sponsored Ross Mennie to attend Euroscola at the European Parliament in Strasbourg for one week in January 2019. Ross is one of 26 pupils from schools across Scotland who attended Euroscola. Ross has a passion for politics which is his chosen subject to study when at university. When in Strasbourg Ross debated immigration as an issue. For the trip Ross had to be able to communicate well in both French and English. As he has studied higher French this was not a problem for him. His parents Ian and Carol as well as his school head teacher and language teacher are delighted that he was given this opportunity by Aberdeen Deeside Rotary Club. Ross agreed to give a talk on his experience in Strasbourg to Aberdeen Deeside Rotary Club on his return from Strasbourg and did this on the 27 March.